Grab an MSI GV62 with an Nvidia GTX 1060 graphics card for $619 after a $150 rebate at Newegg. 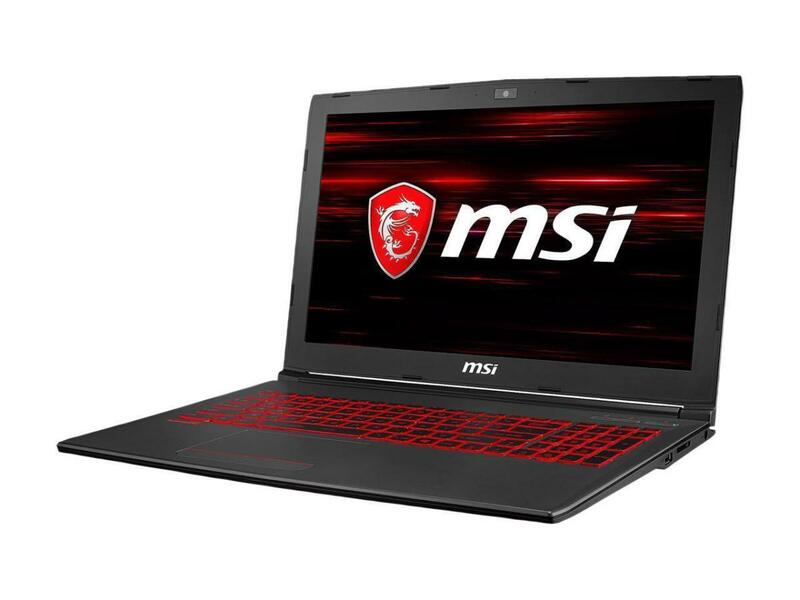 Buckle up, on-the-go gamers: We get excited when a laptop with Nvidia’s GeForce GTX 1060 inside goes on sale for $700, but right now, Newegg is selling the MSI GV62 with a GTX 1060 for just $619Remove non-product link. That’s a ridiculously good deal. The bad news is, in true Newegg style, you have to pay $769 upfront and then get a $150 mail-in rebate. Still, this is a stellar laptop deal if you can stomach waiting for the rebate. The GV62 packs a 15.6-inch 1080p display, 8GB of RAM, a 1TB hard drive for storage, and a 128GB NVMe SSD boot drive. The processor is a quad-core, 2.3GHz Intel “Coffee Lake” Core i5-8300H. On paper, it’s an all-around solid performer. That 1080p display should marry beautifully with the GeForce GTX 1060. You should have no trouble cranking all the settings to Ultra for a solid 60 frames per second gaming experience. If you hook this up to a 1440p display you should also have a very good time with video settings on High. MSI says the rig will support 4K at 60Hz via HDMI, but that’s for non-gaming uses. 4K gaming on this rig would be sub-par at best. The laptop comes rocking one USB Type-C port, two USB 3.1 Type-A ports, and one USB 2.0. For display output you’ve got one mini DisplayPort and one HDMI. MSI says the rig weighs just under 5 lbs, a relatively light weight for a gaming notebook. Don’t miss out on if you’ve been thinking about buying a gaming laptop. Deals this delectable don’t appear very often—but be sure to mail in that rebate. This story, "This GeForce GTX 1060-equipped MSI gaming laptop is on sale for a ludicrously low $619" was originally published by PCWorld.